Noch peinlicher, das es keine Entsorgung, für das oft hoch giftige Abwasser der Anlage gibt, keinerlei Tranzparenz, warum sowas 326,5 Millionen € kosten soll. Die EU Gangster wissen nicht was sie wollen, sind Lehrmeister der Betrugs Modell und die Deutschen sowieso, mit ihrer Wasser Beratung und Berlinwasser, vor 15 Jahren. Es erinnert an das Deutsche Betrugs Projekt von RWE, in Zagreb was noch mehr kostete, vor über 15 Jahren. Belgrade’s Vinča landfill, by the river Danube, has been piling up over more than 40 years with no lining or collection of the water leaching out underneath it. It is home to more than 80 people living in informal accommodation and trying to eke out a living from waste-picking at the site. Action obviously needs to be taken to rehabilitate the site and to set up a socially and environmentally sustainable waste prevention and recycling system in the city. But in September 2017 the City of Belgrade signed a contract for a 25-year public-private partnership with Itochu and Suez. Although it includes a partial rehabilitation of the landfill and construction of a new one, its main feature is a 340,000 tonnes per year “waste-to-energy” incinerator that would burn around 66 % of Belgrade’s communal waste. Its only recycling component is a construction waste facility. 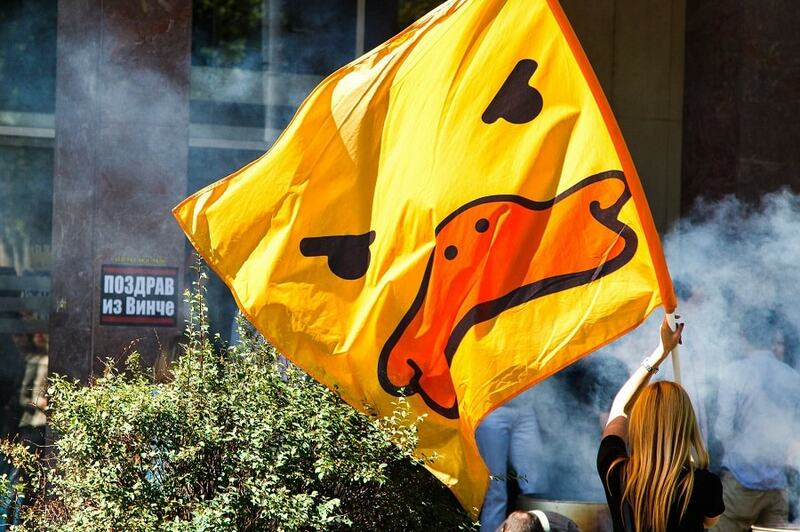 There was no public discussion about the plans before the contract was signed, nor have non-incineration alternatives for solving Belgrade’s waste problems been considered in the environmental assessment or elsewhere. Not only will this EUR 326.5 million project render it highly unlikely that Belgrade can afford to develop a waste prevention, recycling and composting system alongside the incinerator, but the project will be in direct competition for recyclable resources with some of Belgrade’s most vulnerable residents – informal waste collectors. The project is hailed as introducing private sector involvement to the provision of solid waste management services in the city. But this rather tactless statement renders the estimated 12,000 people already engaged in informal waste collection in Belgrade completely invisible. Some of these people work individually, some of have contracts with private companies, but there is no doubt: Belgrade is not terra nullius. As well as the 80 or so people living at the landfill site – for whom a so far highly inadequate Resettlement Action Plan has been adopted, that fails to provide details about livelihood restoration – thousands more people’s already precarious livelihoods are at risk from this project. This is because the city of Belgrade is contractually obliged by Article 102 of the PPP contract to hand over its municipal waste to the PPP consortium. At least this is what the draft version obtained by Transparency Serbia says – the final version is not publicly available. 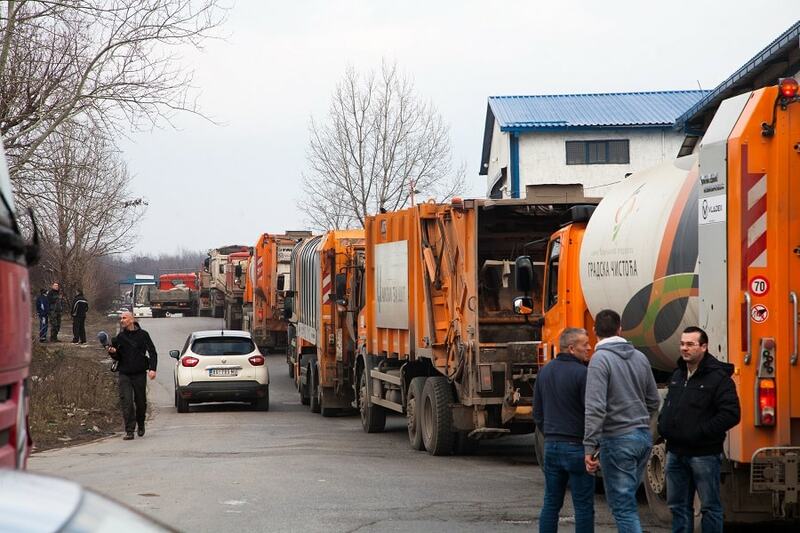 Unless the city’s waste generation starts growing at an accelerated rate, sooner or later Belgrade may either be forced to change the law to allow waste imports or to clamp down on informal waste collection in order to fulfill its contractual obligations. Ne Davimo Beograd asked the EBRD what happens if the city does not generate enough waste to fulfill its contract. The answer, in a written response of 16 October 2018, was not reassuring: “Should the City deliver less than 340,000t of waste to the landfill, there is a compensation mechanism stipulated by PPP Agreement which would restore the economic equilibrium for the investor.” In other words, the public would have to pay the incinerator not to work. It seems that Serbia has not been watching the EU’s steady progress on waste management in the last ten years. Not only will the country soon have obligations to recycle 50 % of its municipal waste, but the EU has also adopted recycling targets of 55 % by 2025, 60 % by 2030 and 65 % by 2035. Serbia might get a few years’ extension on the earlier targets but will have to catch up within a few years, so there is no time to lose. 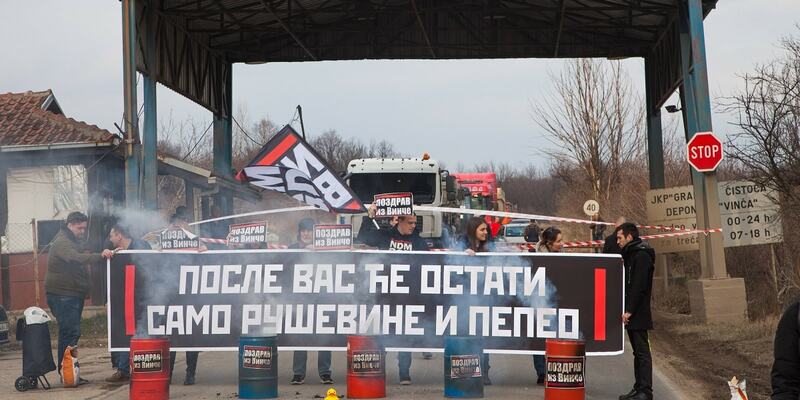 If Belgrade, as Serbia’s capital city, is burning 66 % of its waste then even the 50 % target will be well out of reach. It is not exactly likely that the rest of the country will make up for it. Presumably the idea is that Belgrade’s overall amount of waste will grow and so it will still be possible to increase the percentage of waste recycled. But this assumption is not only unproven – the environmental assessment fails to even mention Belgrade’s current and expected waste generation, prevention and recycling rates – it is also totally unsustainable and out of line with the EU’s circular economy legislation. Belgrade’s residents will have to pay twice for this incinerator – once through a fee for waste management and once more through a feed-in tariff for the electricity generated at the plant added to their electricity bills. And if Belgrade fails to deliver enough waste, they may even have to pay thrice due to the compensation clause in the contract. The feed-in tariff is based on the outrageous idea that incinerating the biodegradable fraction of municipal waste to produce electricity is a form of renewable energy, even though most of it would not burn without a hefty dose of gas or diesel. However it is no longer allowed to use feed-in tariffs for new facilities in the EU countries, except the very smallest, and the system is also being phased out in Energy Community countries like Serbia. In fact, Serbia’s feed-in tariff system was supposed to be halted for new installations from the end of this year but was recently extended for another year. And from 2021 when the new Renewable Energy Directive comes into force, no financial support at all will be allowed for energy produced from incinerating the biodegradable part of waste, if the separate collection targets have not been met. The project consortium had better do some re-calculations to see if they really want to go ahead. European banks vs. EU rules? Unfortunately second-rate, oversized infrastructure projects using outdated technology are standard fare for southeast European governments. But it is still disappointing to find European banks still considering support for them. The project’s collision with EU waste prevention and recycling targets, and the banks’ previous relatively unsuccessful experience with Belgrade authorities’ approach to resettlement and livelihood restoration for Roma settlements for the Gazela Bridge reconstruction are already sufficient grounds for the banks to reconsider their involvement in this project. But the issues mentioned above barely scratch the surface: We recently submitted 92 pages of comments and questions during the public consultation on the Environmental and Social Impact Assessment. From the quality of the landfill rehabilitation, to the misrepresentation of the project’s climate impact, to Serbia’s lack of hazardous waste facilities to deal with the residues from the project and its lack of capacity to carry out proper monitoring and enforcement, there are tens of questions that remain unanswered. We will keep on asking for answers until we get them. In the meantime, we urge the banks to catch up with EU circular economy policy and help Serbia to increase its waste prevention and recycling instead of helping international companies inflict their so-last century technology on us.